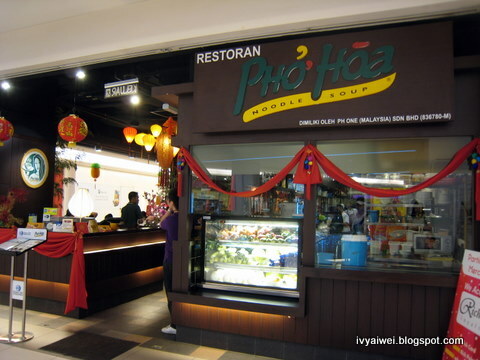 I always thought, Pho Hoa, the Vietnamese restaurant is always originated from Viet itself… Not until I was told that Pho Hoa is actually originated from America!!! 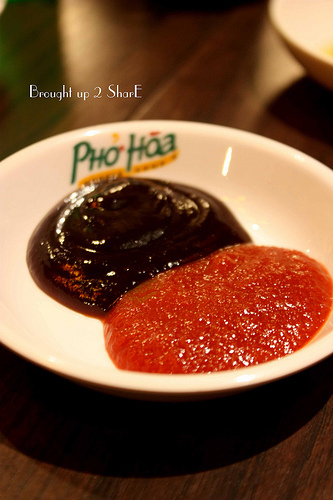 Pho Hoa, serving the authentic healthy Vietnamese Food is the largest Vietnamese Restaurant Chain in North America. 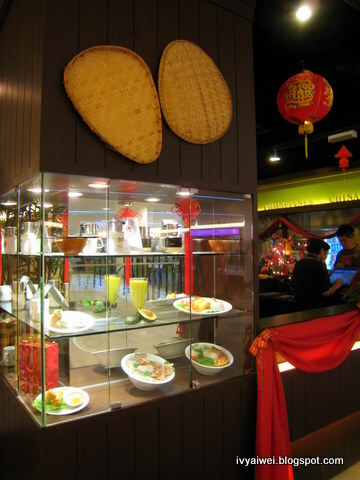 Thanks to Richard and Kampungboycitygal, W–E–E got a chance to sample the Viet’s food from Pho Hoa. 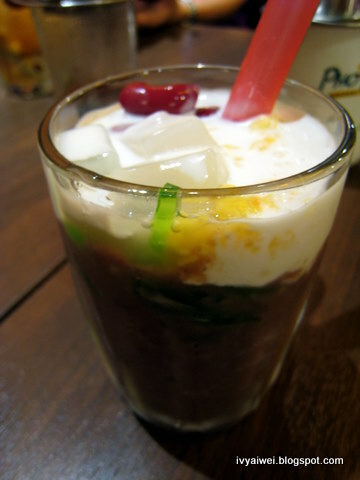 The coffee was then poured into a glass of ice. 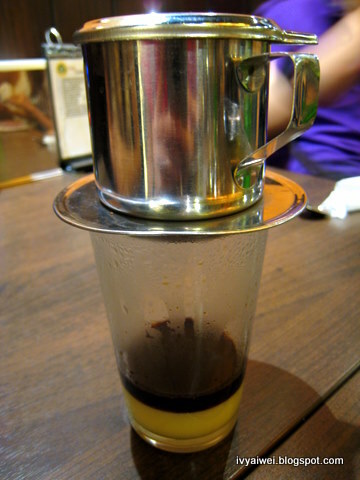 I am seriously in love with their Viet’s coffee which actually gives strong aroma and ohhhm. But opppsss, I had insomnia and I started to disturb people at late night. Anyhow, nevermind with the insomnia and I will still hop over for this good Viet’s coffee. There are a great variety of appetizers to choose from the menu. 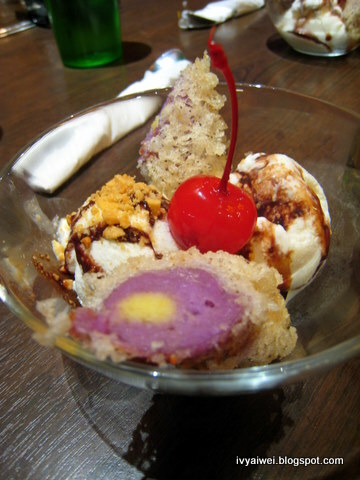 We get to sample some from the highly recommended list; to my surprise, all of them were good and appetizing. 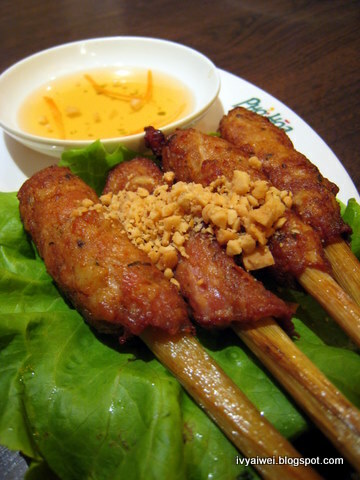 Lemon Grass Chicken (RM 7.95 – 4 sticks per plate) was fragrant with the light aroma from the lemon grass. However, the meat was a bit dry. Fried Spring Roll with minced chicken, vegetables and yam (RM 3.25 per roll) was deep fired into golder brown. It was quite special that they’d put in yam as one of the important ingredients. 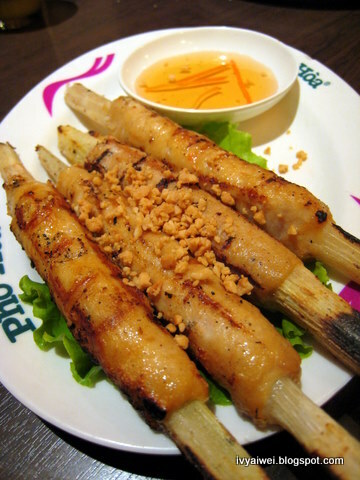 Sugar Cane Prawn (RM 7.95 – 4 sticks per plate) was indeed smokey and flavourful with the sweetness from sugar cane. 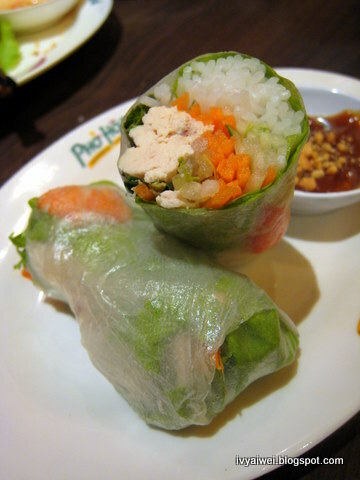 Summer Roll (RM 3.25 per roll) was a healthy version of roll which consists of shrimp, chicken, salad and rice Vermicelli. Never forget to pair up the roll with the special peanut sauce to add on extra flavour. 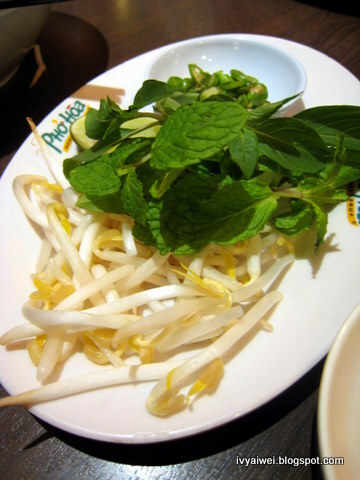 The Viet Noodles are truly imported from Vietnam and are made from 100% rice flour. Each bowl of soupy noodles is come with some fresh greens – coriander leaves, bean sprouts, hot chili padi, lemongrass wedges and basil leaves. 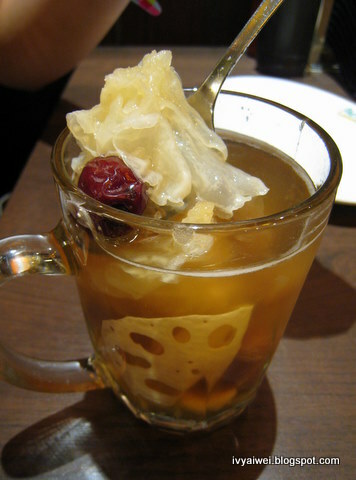 Firstly, you have to taste the original taste of the broth first before adding in all the fresh into your bowl. Next squeeze in the lime, toss in the coriander leaves, bean sprouts, hot chili padi, basil leaves and mix them up. 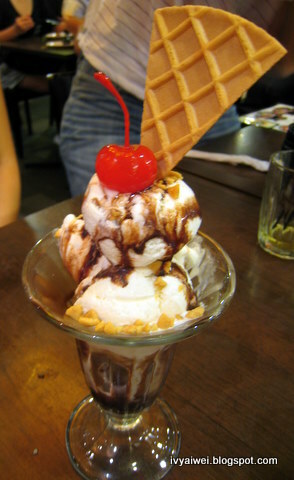 Taste it again as it will give a different flavour. Finally, you can change the flavour by squeezing in their special sweet and spicy sauce. 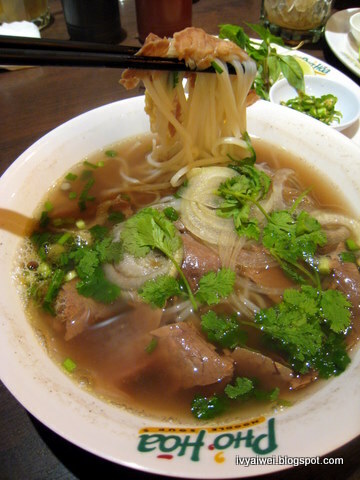 Pho Tai, Nam (RM 13.95 for regular; RM 15.55 for large) – Noodles soup with eye round steak, flank. Pho Tai, Chin Nac, Nam, Gan Sach (RM 16.95 for regular; RM 18.55 for large) is from the adventurer’s choice where you have everything in it – Steak, Brisket, Flank, Tendon, Tripe Pho. I am glad that they actually have something for the non-beef-diners like me. 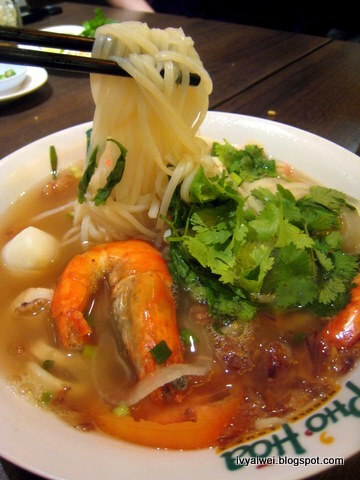 Pho Do Bien Chua Cay (RM 13.95 for regular; RM 15.55 for large portion) – the hot and sour seafood pho. It was kinda sourish but i love it. 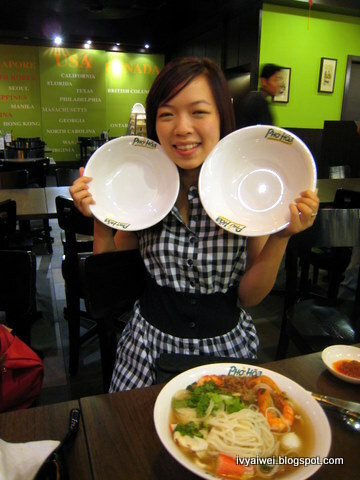 Look at Citygal, she was posing the REGULAR and LARGE bowl portions. Pho is not something for you??? Maybe try out their Rice Platter?! 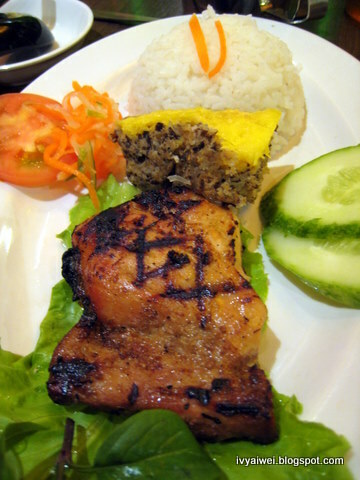 Com Ga Buong Cha Trung Hap (RM 15.95) – the grilled chicken and egg cake. 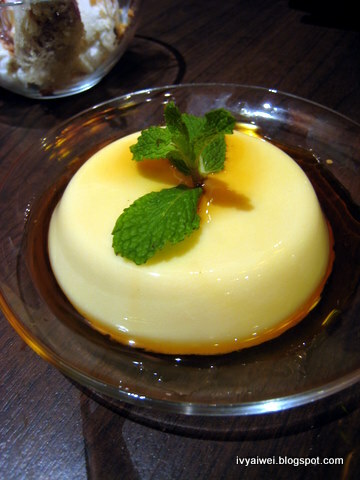 Desserts: the heart winning one. Coconut Flam with Caramel (RM 4.25) is wobbly, light and not too sweet. 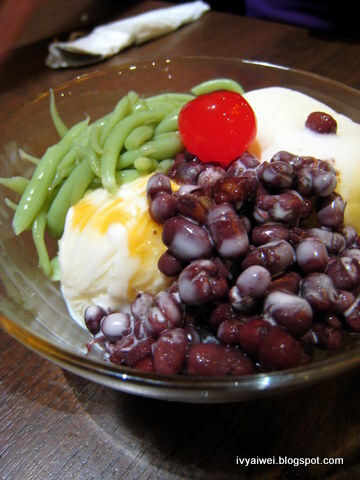 Cendol Kem (RM 6.95) consists of cendol, red bean with coconut milk, gula Melaka and imported coconut ice cream. 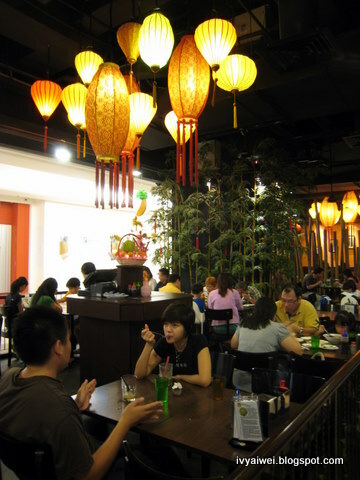 Cha Gio Re Kam (RM 5.95) is the net spring roll consists of Yam, Sweet Potato and Mung Bean with Vanilla Ice Cream. 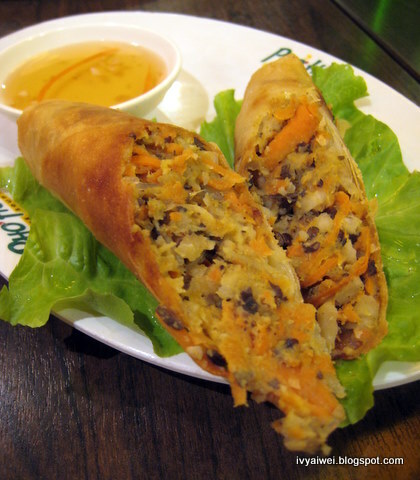 The net spring roll was very crispy and I myself love the Yam and Sweet Potato combination a lot. We enjoyed the authentic Vietnamese Food that actually emphasizing on the quality of the ingredients and individual’s health. I do find that the portion they serve is toooo large to be finished. Loved every bite from the starters to main courses to desserts. 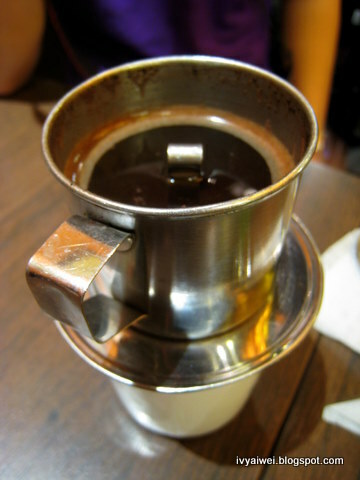 and must not forget to try out the aromatic drip coffee if you fancy coffee. 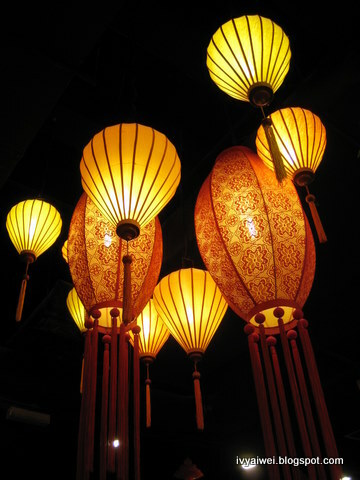 aiksss, any other viet's place other than pho hoa in jakarta???! Never been to Tropicana City Mall yet.. 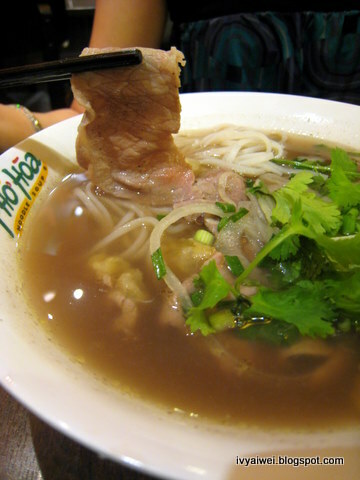 I miss the pho in Ho Chi Minh. Wow, that really looks like a great place to go to! 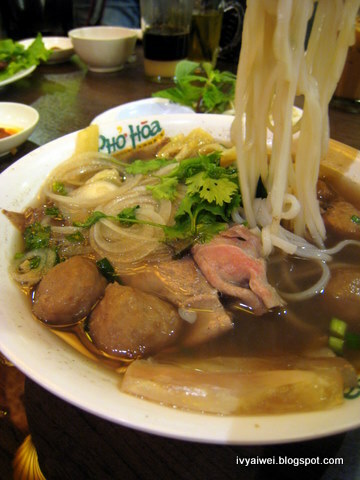 pho in viet?! must be very authentic one. >< do they have non beef pho there? 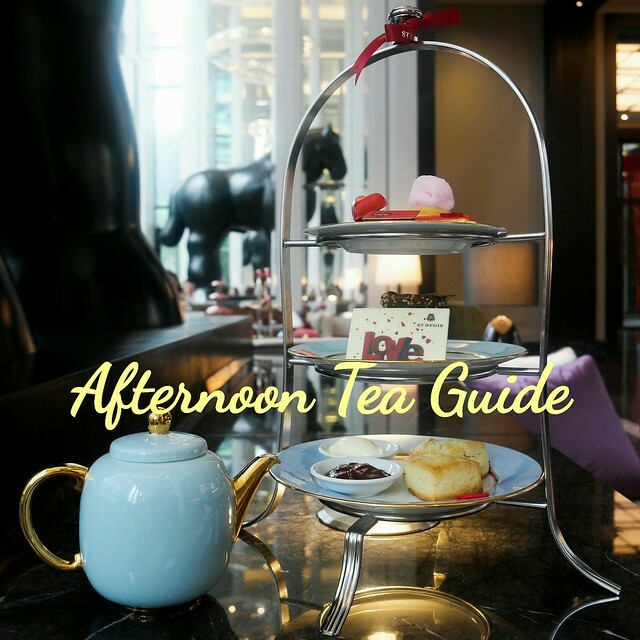 <3 i heart their desserts and also their drip coffee! Big portion of food, very good!! Can feed a big eater like me!!! Sigh, I haven't blog about this yet. The bowls are larger than WeiZhi's face lol.